Freshly renovated 3-room apartment is for sale on the seventh floor in the Buda side. 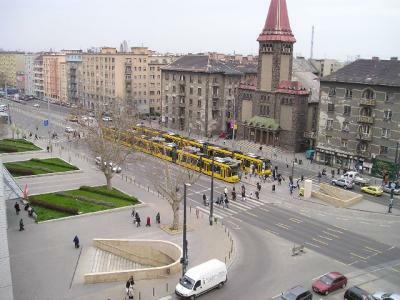 The building is situated near to the Móricz Zsigmond roundabout and to the Info Park as well to which belong the Hungarian Technical University, the Medical University and the Computer Technology University also. This very light and friendly apartment has a wonderful round view.